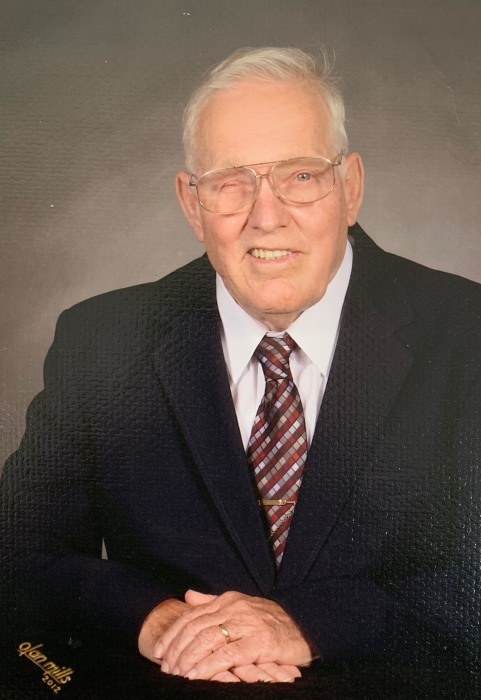 Wayne Ignatius Whelan, 87, of Flaherty, KY passed away Thursday, October 18, 2018 at the Signature of North Hardin. Mr. Whelan was a member of St. Martin of Tours Catholic Church, Flaherty, KY and had worked at the church part time as a maintenance worker for over forty years. He was retired from Army and Air Force Exchange Service, Fort Knox, KY with over thirty six and a half years of service. He was preceded in death by his parents, Michael Edward & Hallie Hager Whelan. Survivors include his loving wife of sixty years, Mary Ann Ferriell Whelan of Flaherty; five children, David Whelan & his wife, Sonnie, Doug Whelan & his wife, Beth, Lucina Kessler & her husband, Barry, Eddie Whelan & his wife, Kim, Kevin Whelan & his wife, Nicole; three brothers, Freddy Whelan, Lee Whelan, Ken Whelan; thirteen grandchildren; two great grandchildren. Visitation will be from 2:00 PM until 8:00 PM Sunday and from 9:00 AM until 10:30 AM Monday at Chism Family Funeral Home, Vine Grove, KY. A prayer service will be held at 7:00 PM, Sunday at the funeral home. A Mass of Christian Burial for Mr. Whelan will be held at 11:00 AM, Monday, October 22, 2018 at St. Martin of Tours Catholic Church, Flaherty, KY with Rev. Jeff Hopper officiating. Burial will follow in the St. Martin Cemetery, Flaherty, KY.